Many of you may know Maggie Chalifoux as one of Rosemont’s longtime Artists. 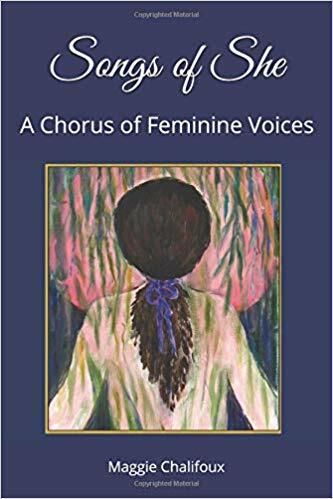 We are happy to announce that on Friday, March 15th, Maggie will be debuting her latest form of art, a book entitled: Songs of She: A Chorus of Feminine Voices. It is an introspective reflection of one woman’s life journey, exploring lessons of love and joy on a path to authenticity. The book invites you to find your own heart song, to find meaning and purpose in all your life experiences. Come meet the artist/writer, Maggie Chalifoux, at her debut book signing here at the Winery. Hors d’oeuvres will be served at 3:30 pm with the book signing to follow. Books and art will be available for purchase!